1. 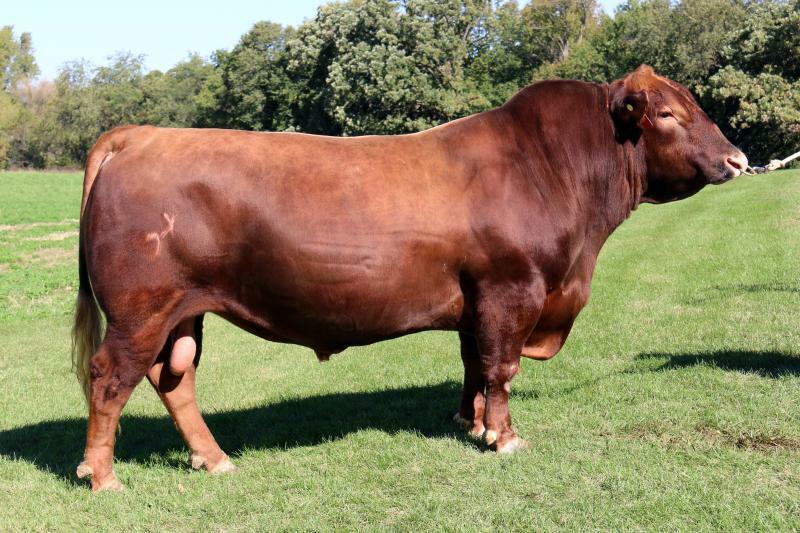 He is a good footed bull that has length , muscle & substance. 2. His first calves arrived early and easy, they come out long bodied with performance. 3. EPD'S rank in the top 1% CED, top 10% Marbling with breed leading growth and muscle.